Hello everyone, my is jennie and im a full time student. Im currently going for my Bachelors of Science in Photography at the art insitute of las vegas. 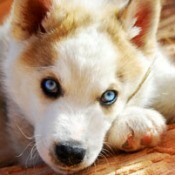 I also have a real love for animals so im currently also getting my diploma and certification in Pet Grooming. I love learning new things and doing crafts on my spare time. Ive recently discovered the would of decoupage and love it! So if you ever have any ideas or tips on it please add me to msn at Midnights.Daydream@hotmail.com, or if you would like to share any other ideas please add me or email me. I love meeting new people and making friends that share similar interests. 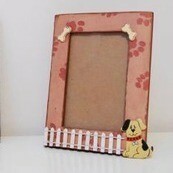 Pet Picture FrameThis is a simple cute picture frame that can be used to decorate your home or to be given as a gift. I made a few for my house and gave one as a gift. 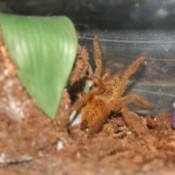 Pet Spider HutThis is a very simple idea for anyone who might have little critters like lizards, frogs, tarantulas, and any other small animal that might need a place to hide. Dacoda (Siberian Husky/Timber Wolf)Dacoda is a 1 year old Siberian Husky/Timber Wolf mix. I got Dacoda right after Christmas last year. While taking a walk around the block I saw a bunch of white fluff balls running around in a neighbor's backyard. My curiosity got the better of me and I went over to investigate.